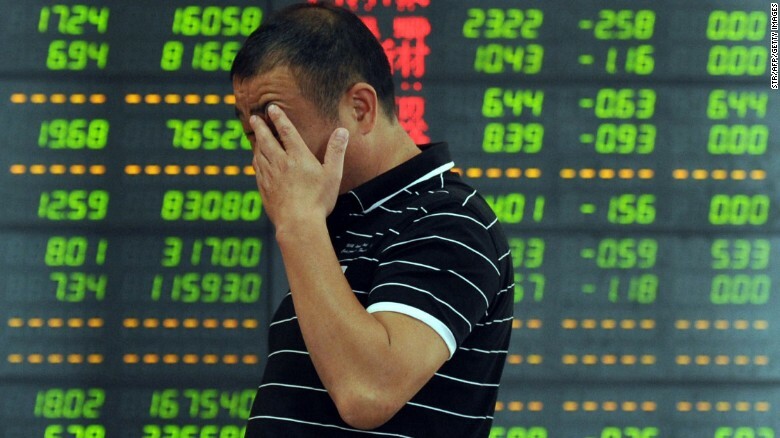 Chinese stocks extended losses on Monday. Shanghai Composite opened lower but climbed back into gaining territory in the morning session, however it failed to maintain the momentum and dived 1.3 per cent to 2705 by close, making it over 8 per cent lower than last month. Shenzhen Component Index slided over 2 per cent to 8422.8. The Nasdaq-style Chinext index tumbled near 3.2 per cent intraday before closing 2.8 per cent lower at 1440, a new low in three years and a half. Chinext Index tumbled for the 4th straight day, bringing its total losses in August to 7.7 per cent. Banks and insurance compared outperformed and infrastructure construction related companies extended the recent rally. China Communication Construction climbed 2.24 per cent. Shares of Xinjiang Beixin Road and Bridge Group Co. Ltd surged by the daily limit of 10 per cent intraday before narrowing its gains to 6.5 per cent by close, boosted by expectation of more infrastructure spending in China’s underdeveloped northwest region. Non-ferrous metal producers led the gains, Hanrui Cobolt and Huayou Cobolt limiting down. Tianqi Lithium tumbled 9 per cent. Chinese genomics company BGI was the best performer on the Chinext board, after the company announced the nomination Wang Shi, founder and former chairman of China’s leading property developer Vanke, as its co-chairman.